Authority Partners is seeking an experienced Xamarin Developer to join our strong development team. The Xamarin Developer will design and write maintainable code, communicate with teams and clients, as well as deliver products within an aggressive schedule. 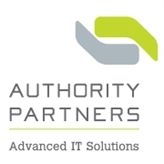 Authority Partners is a leading and global IT services company with over 20 years of experience, serving clients within the financial, healthcare, insurance, mortgage and technology sectors amongst many others. We are committed to building relationships with IT professionals who possess integrity, dedication, teamwork, and the desire to learn and grow with us. We specialize in placement for long-term contract and permanent opportunities and helping our consultants achieve their career success. Want to get notified about new jobs at Authority Partners?